Democracy Now! 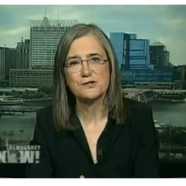 is a national, daily, independent, award-winning news program hosted by journalists Amy Goodman and Juan Gonzalez. Click here to visit Democracy Now!